What is the best free meditation app of 2019? As a meditation teacher I’m naturally pretty darned interested in different meditation apps. Reviews for Headspace, Calm and etc. are all over the internet. But I thought I’d share my opinion as a meditation teacher (you might like to read my guide to the top 31 best meditation techniques in the world). There are so many different meditation apps available at the moment. I’ve been stuck on a perpetual cycle of Download / Install / Meditation / Repeat. So I thought I would review all the apps I’ve tried, and give you my opinion on the best free meditation apps of 2019. Which is the best meditation app of 2019? It’s not just Calm or Headspace, you know? Of course you can always use my tracking idea instead. Either way, the best free meditation apps in 2019 have a lot to offer. They can add a lot to your meditation practice. Some apps teach traditional meditation. Some apps help you to track your meditation time. Some apps have tons of free guided meditations ready as soon as you download and install them. These apps can hep with calmness, relaxation, anxiety, stress, depression… you know, the problems we all face sometimes. Obviously there are massive dangers of guided meditations so do bear that in mind when using these apps. Which is the best meditation app? Reviews being finished, I chose the following as the best meditation apps of 2018. What’s your favorite meditation app? And how has it changed your life? Leave a comment and remember to subscribe to our newsletter below. Here are my reviews for the top meditation apps of 2018, rated and compared. Headspace is one of the most popular meditation apps. It’s been downloaded and installed by millions of meditators. And no wonder because it is definitely one of the best meditation apps of 2019. Headspace is one of the best ways to develop a habit of meditating. You meditate every day and track it in the app in order to develop a habit. It’s is a no-nonsense habit-building app. Simplicity is what sets Headspace apart. If you look at Headspace VS Buddhify (below), for instance, Buddhify offers lots of different ways to meditate in your daily life, where Headspace is entirely about developing a habit of meditating each and every day. Do you struggle to make meditation a habit? As a meditation teacher, I speak to a lot of people who struggle to get into a daily habit of meditation. I recommend they use Headspace. You’ll love Headspace’s personality too. Former Buddhist monk Andy Puddicombe has poured his personality into this app. And it shows. If you look at Headspace VS Calm, for instance, you will see that Headspace has way more character. So, for simplicity and personality, choose Headspace. It’s the best meditation app for beginners and for people who want to develop a habit of meditation. Calm is both a meditation app and website (Calm.com). And now the founder is even looking to make a Calm Island (yes you read that right). This one’s all about learning different meditaiton techniques. Want to learn new techniques? That link is full of lots of the same meditation techniques in this app. When you download and install the free version of Calm you will gain access to a number of guided meditations, and you can unlock more guided meditations by signing up to a monthly subscription. My favorite thing about Calm is that it looks beautiful. The design is gorgeous. If we look at Calm VS Headspace I think you’ll agree that Calm has far more appealing visuals. Not only does Calm look beautiful but it also comes with nature sounds, background music and animated backgrounds. This app helps with anxiety, stress, and depression too… it’s not just about meditation. Calm’s vocal guide is smooth… silky. I find her a little distracting, actually. She’s just too… cheerful. There are definitely meditation apps with better voices. If we look at Calm VS Insight Meditation Timer, for instance, the latter has lots of recordings with noted meditation teachers who know how to present guided meditations more effectively. But this is a relatively minor setback for a truly wonderful app. Calm is the best meditation app in terms of presentation. Highly recommended for anyone who want a beautiful app with stunning production values. In Zen and Now I reveal how to meditate anytime, anywhere. Buddhify 2 does a similar thing. As you can tell by the name, this is a mostly Buddhist meditation app that is inspired by traditional Buddhist meditations. Buddihfy 2 is a truly impressive app. What’s best about it is that it is so unique. 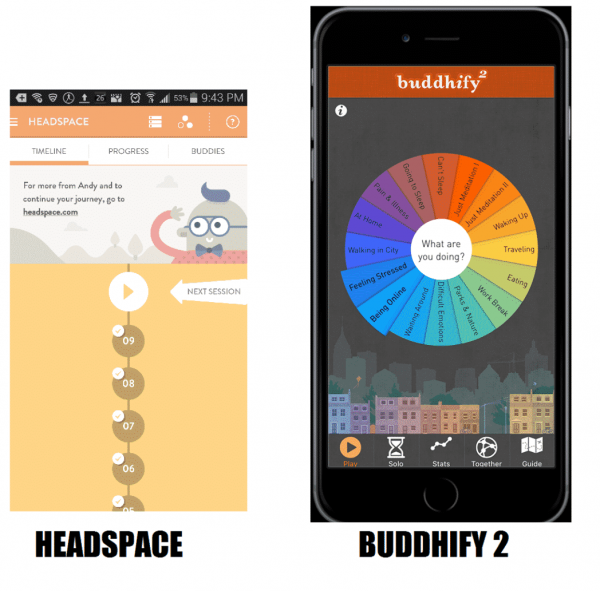 Even if you already have a meditation app you should probably download and install Buddhify 2 anyway. It has features no other app does. Buddhify 2 is designed for people living in urban environments. If you live in a city, this app will help you to find mindful moments in the chaos of the city life. It does this by showing you how to meditate at different times. Buddhify 2 has meditations to do while exercising while using the internet… so you basically meditate while doing all the stuff you already do. Guided meditations are presented by various guides, and they range from okay to brilliant. Oh, and on a side note, I love the colour-wheel presentation. Buddhify 2 sets itself apart from the pack. 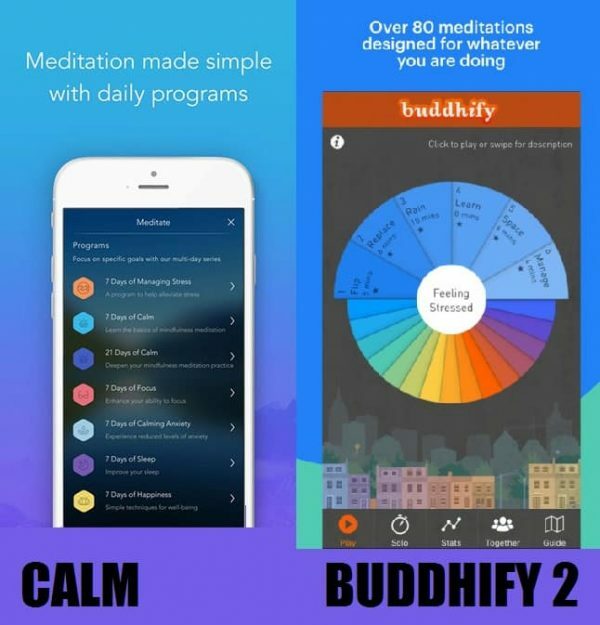 If we look at Headspace VS Buddhify 2, or even Calm VS Buddhify 2, it’s easy to say that this app has far more unique features. 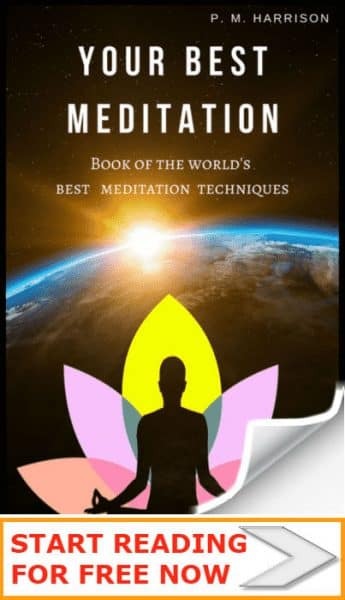 The guided meditations here are useful for day to day life and it makes it easy for even the busiest of people to start meditating. Overall, this app is so unique that you might as well download and install it now even if you just use it as a secondary app. I would hands-down call this the best meditation app of 2017 for anybody who is looking for something a little different. 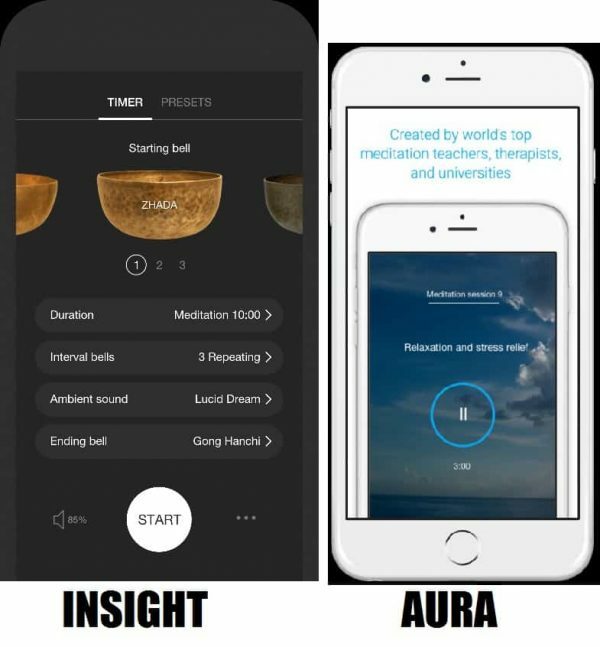 Insight is a meditation timer that also has guided meditations. The Tibetan Singing Bowls are particularly beautiful. The original Insight Timer is an incredibly popular app, with more than two million users. That popularity is partly thanks to its versatility and ease of use. The ability to just time a session and use interval bells as markers. It’s all so easy. Insight also offers guided meditations for free. There are more than 5000 different meditations published by more than 1150 meditation teachers. And they feature recordings from the likes of Jack Kornfield and Tara Brach, who are two very highly respected meditation teachers. By far the worst part of this app is its design. Beautiful, she is not. Alas. Even though it is not the best looking app, it is definitely one of the best functioning apps, and highly recommended. There are tons of great free functions when you download and install it. Insight Timer offers incredible content. I’d just prefer it if this sweet app came wrapped in better packaging. Mindfulness meditation technique (click for a free guide) is what Aware is all about. The Aware Mindfulness Meditation app offers a great introduction to mindfulness meditation with high quality guided meditation sessions. I particularly like the friendly voice that the meditation guide has. When I consider Calm VS Aware I have to tip my hat to Aware in terms of the voice. It’s so soothing and relaxing. Another fantastic aspect of Aware is the quality of the guides. All the instructions are presented in meticulous detail. Being a meditation teacher, this wasn’t particularly important for me. However, many of our Facebook readers have said that they found the guides on this app incredibly helpful. If you have been looking for an app to help you manage your thoughts, boost your concentration, and achieve other personal development skills, Aware Mindfulness Meditation app is the best choice for you. It’s also worth looking at Headspace VS Aware because both help you make meditation a habit. Personally, I find that Headspace offers more direct help, where Aware is more versatile and actually teaches you much more. Mindful habits are all about training the mind to stay in the moment. If you struggle to make mindfulness a habit, Simple Habit App will help. Simple Habit App specialises in five minute sessions, so they’re perfect for even the busiest of bodies. 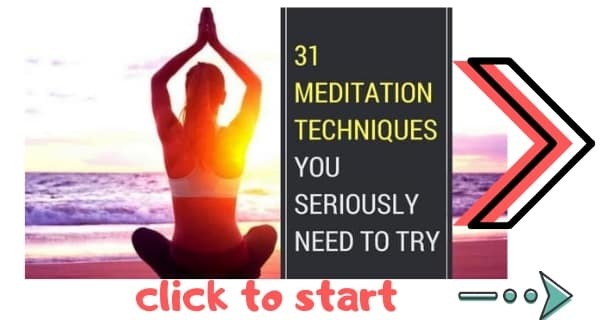 These five-minute meditation sessions cover a variety of topics and they come from highly experienced meditation teachers, so you know that the instructions here are top dollar. Simple Habit App included sessions for stress, sleep, and other common problems. So, let’s look at Simple Habit VS Headspace VS Calm etc. 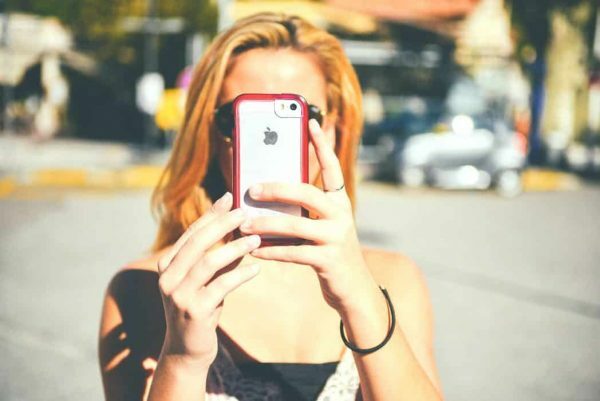 When you compare Simple Habit App to the other meditation apps in this list, you’ll find that this one is a middle-of-the-road app in almost all cases. The voices are better than Calm but not as good as Insight. The presentation is better than Insight but not as good as Calm. And the habit-forming part is about equal with Headspace. So, this app sits perfectly in the middle, making it a good choice for most people. I consider this one of the best meditation apps of 2017 because it does everything you need and does it well. One of the best ways to boost your happiness is to develop a positive mindset. The Aura Mindfulness App offers meditation practices that help us to have a positive mindset throughout the day. One thing that sets Aura apart is that it has a little bonus feature that helps you boost your gratitude. Another fantastic aspect of the Aura app is that is uses your demographic and mood to determine the best type of meditation for you. The Aura App sets itself apart with advanced functionality. The presentation is beautiful, too. Overall, Aura: Mindfulness is one of the best meditation apps for anyone who wants to make mindfulness a habit. 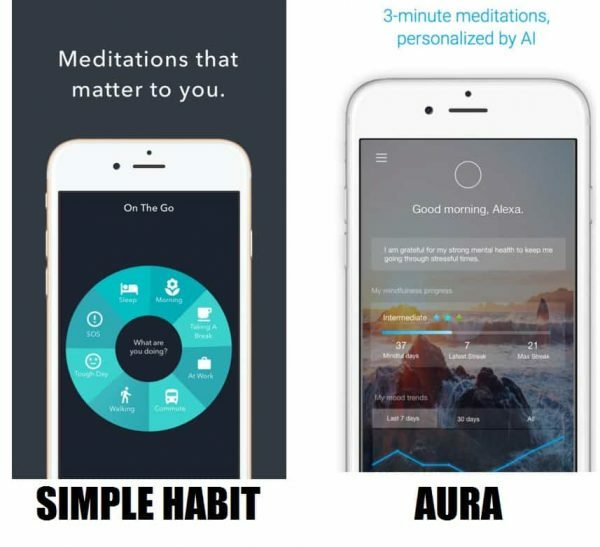 The advanced functionality helps you to know which meditation to use at any given time, and this makes Aura a powerful app for boosting your happiness. So, which is the best meditation app of 2017? The best thing about all these different meditation apps is that they offer different styles and different functions. There is a clear winner for near every purpose. Stop, Breathe & Think is another meditation app packed full of guided meditations. It separates itself with the inclusion of yoga and acupressure videos. Stop, Breathe & Think also offers a great way of controlling your emotions. It has trackers that let you keep track of your feelings. This is one of the best free meditation apps of 2019 for anyone dealing with complications like depression, stress and anxiety. This app is designed with the express purpose of healing people to deal with negative thoughts. This in turn helps counteract anxiety, depression and stress. Pacifica comes fully-loaded with thought recordings, daily challenges, mood tracker and audio lessons. This app is similar to Headspace in the sense that it helps you develop the habit of meditation. The most interesting feature in Sattva is an insight engine that shows you how your meditation practice is changing your life. What makes Sway different is that it is what the developers call an “Interactive meditation”. Well, not to argue with the developers, but it’s really a form of dynamic meditation. And as you will know if you have read my guide to dynamic meditation, these types of movement-based mindfulness are a great alternative to regular, seated meditation. Sway focuses on mindful movement. It asks you to continually move—to “sway”, if you will—by moving your phone from site to site while lying down, or moving your entire body while standing up (you can even sway while you’re on the bus, the official website tells us). While you’re swaying, the app plays ambient sounds and meditation music that calm and focus your mind. There are six different “levels” that push your towards developing mindful habits, and you must complete certain goals before progressing to the next level, in a way reminiscent of a video game. Miss a day and you get pushed back a level. So, is Sway any good? One of my favorite things about Sway is that it has excellent production values. The sounds and the animations are delightful. And as for the actual exercises, they are simple and helpful. This app can definitely be used as a supplement to a traditional meditation practice. What I appreciate most about Sway is that it is a truly unique product. There are hundreds of meditation apps on the market that do precisely the same thing. Sway gives you a different way to meditate. And as a meditation teacher, I truly appreciate that. Sway is worth the $2.99 price tag. Whether you’re a well-seasoned meditator, or a newcomer, you will enjoy Sway and find it very beneficial. Pick it up on i-tunes today. What I realised when I did all these meditation app reviews is this: there is something for everyone. Each meditation app offers something different. They all have unique features. Me? As a meditation teacher, I have to tip my hat to Insight Meditation Timer because it has recordings from my favorite meditation teachers. Which do you think is the best meditation app? Before we get to the traditional meditation apps (below), let me just mention this little beauty. Spire Stone is a mindfulness activity tracker for iOS and Android. 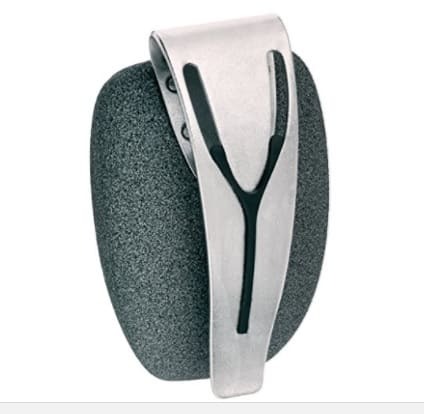 Spire measures your breathing and provides feedback so you know when to take a mindful break. This is a massively beneficial product because it reminds you to be mindful. Those moments when stress comes, Spire says, “Hang on a moment, you’re getting stressed, take a mindful break”. It’s like having a personal meditation teacher with you at all times. You think a meditation app is all you need? Silly! 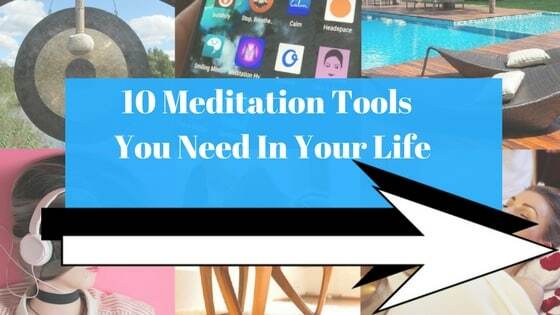 You need these 9 glorious meditation tools! Thank you for taking the time to explain and share. I really needed guidance and found your blog, like most things I’ve needed. I am an avid Calm user, live with MS and do do a (real) meditation session with an instructor weekly. Looking to expand what’s available, this article is fantastic. I have tried others (many listed above) and I now may try Aura, Insight and Aware. From the “dangers of guided meditations” that you referenced in this article, you said, “But for most people they are ineffective.” I read your reasoning and explanation, but do you have any scientific sources that back-up this claim? I’m not being argumentative, I’m just curious. It seems a very strong claim against something that a lot of people are using to help manage day to day stress. And many people anecdotally claim it helps. Thank you. (No comment section on that article). I used Headspace for a while, but I found the look is too cartoonish for me. 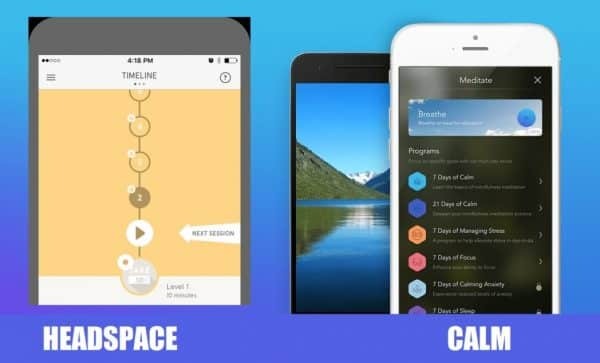 Calm is an app that I used the most, it is beautifully designed with great features. I tried Simple Habit and Aware too, but I didn’t attach to those apps much. Recently, I tried a new app called Masters of Mindfulness, I found the functionalities are pretty interesting, and it’s beautifully designed too. And I just tried Aura from your suggestion, looks great so far, I’m going to test it out more. How do you feel 10% happier compares? I’ve been trying an assortment of apps to see which works best for me. I like Simple Habit but the meditations seem almost too short to have a real impact. I like Insight but I don’t find there is enough structure. Calm is good but I like exploring different teachers. Thanks! Thanks, Paul, for writing this helpful article. I have used Calm for almost three years, since its beta phase, and love it, but I did not know about the new options. I just downloaded Insight and Stop, Breathe & Think to complement Calm – Thanks! For me personally, it has to be Aware – unarguably. I am saying this after trying out every other app you have mentioned except Aura. For meditation, one needs a consistent progress, guidance and a curated journey. Only Headspace and Aware offer that. Aware beats Headspace hands down in the quality of their meditation sessions. Headspace, after a while, confuses you, contradicts in their guidance; while Aware teaches mindfulness exactly the way it should be (I am saying this from the years I have spent in Bhutan learning meditation). I guess Aware is built in India, the country of origin of the practice. Most importantly, Aware has a terrific support team – they go beyond what is required to personally assist people. The developers of Aware personally wrote to me, called me and guided me when I wrote to them how I was suffering after my divorce. It blew me out. They really care for their users. They really do. Hi Robert, thank you for your comment. I agree, Aware is a fantastic app with great staff.